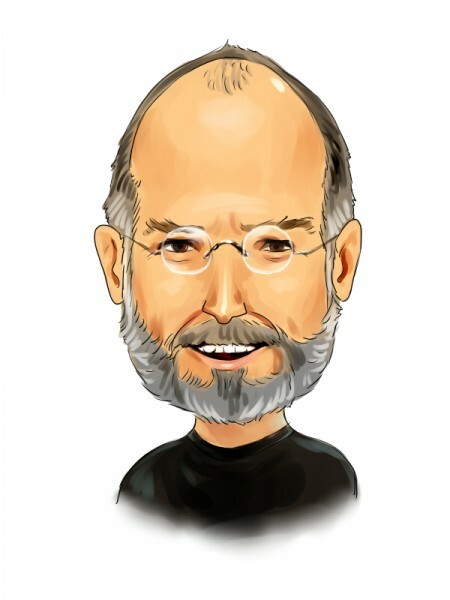 Apple Inc. (AAPL): Tim Cook is No Steve Jobs, But Why Is That Bad? Apple Inc. (NASDAQ:AAPL) is preparing to release its latest earnings report after the bell Tuesday, and there are many who are nervous about what the report will say. There are some who believe that Apple’s days as a growth company being over – that the company will post less profit than previous reporting periods for the first time in a decade. And with Apple stock falling faster than Tom Cruise’s relevance in Hollywood, there are some rumblings (though unsubstantiated) that after 18 months on the job, it might be time for CEO Tim Cook to step aside. TheStreet gave its most recent argument for why Apple Inc. (NASDAQ:AAPL) should dispense with its current chief executive and find a “visionary” to run what was once the most innovative tech company in the world. It sounds like to us, though, that TheStreet might want to exhume Steve Jobs or re-create him using Walter Isaacson’s book. One of the knocks on Jobs was while he was great at establishing a culture of innovation at Apple, he wasn’t the innovator himself. He was more of a master marketer. His success in that area created the worldwide brand that has become almost a religion in and of itself. For most of the last 30 years, that is what Apple needed to get where it is today. But Apple Inc. (NASDAQ:AAPL) is different now. So, to steal an corporate slogan, it’s time to think different when it comes to Apple. And Steve Jobs must have seen something in Tim Cook, because he practically handed over the company to Cook 18 months ago. Most people know that Steve Jobs was not stupid. But was he blinded by loyalty to hire Cook? Why is it that after only 18 months on the job, there are rumors that his head will be on a platter if Tuesday’s earnings don’t jive? My colleague, Chris Bibey, wrote yesterday about some reasons for supporting Cook as CEO of Apple – at least for now. A couple of the biggest reasons are that Apple inc. (NASDAQ:AAPL) stock, even including this free-fall, is still up 12 percent since Cook took over; and under Cook, the company instituted its first dividend in 17 years, and there is talk the company will increase that this year from an already robust 2.5 percent. We can see the knocks on Cook, though – he hasn’t given much vision for the future of the company, which makes it seem like the company is just about churning out products and is operating in the dark from quarter to quarter; and for being a supply-chain guy like he’s known, he has overseen a couple of supply-chain issues in his brief time running the company. Here is the bottom line – Apple Inc. (NASDAQ:AAPL) has set up its own lofty expectations thanks to Steve Jobs. It has been Tim Cook’s job to manage the company and to keep it on top. How has he fared in that regard?